? ?Chelsea goalkeeper Thibaut Courtois is keen on a move to ?Real Madrid, which he has described as his ‘preferred destination’ due to the fact that his children live in the Spanish capital. 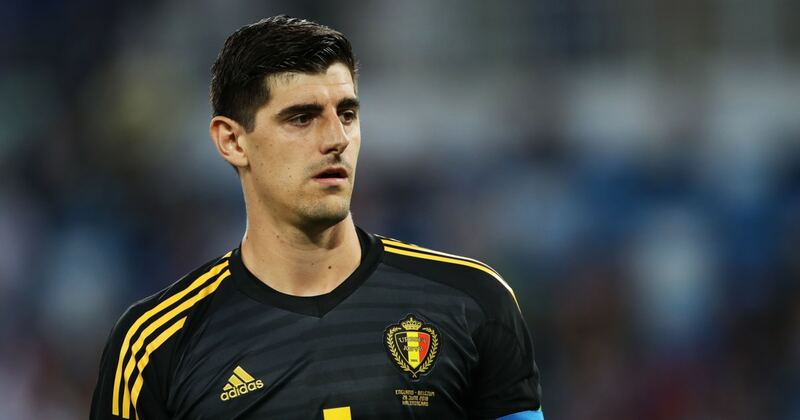 Courtois is into the last 12 months of his current contract at Stamford Bridge and will make a decision on his future after the World Cup, but it is known that he wants to return to Spain. The Belgian signed for Chelsea in 2011 but spent three seasons on loan at ?Atletico Madrid before making his Blues debut in 2014. Despite the fact that Courtois has now been a Chelsea regular for four years, his two children live in Madrid with their mother (Courtois’ ex-girlfriend Marta Dominguez) and Courtois wants to move to the Bernabeu to be closer to them. “I have a certain preferred destination,” Courtois said, as quoted by the Mir?ror. “I have some ideas in my mind, but I’m focusing on the World Cup and have pushed all decisions ahead until after the tournament. Courtois is on Real’s shortlist, but he is not their number one choice. Roma’s Brazilian goalkeeper Alisson is their top target, though they may be forced to look elsewhere if the Italian club hold firm on their £80m valuation of the stopper. Chelsea could pursue Alisson themselves if and when Maurizio Sarri is appointed manager, which would clear the way for Courtois to move to Madrid. Real may be able to get Courtois on a discount deal, as Chelsea would rather get some money for him now rather than allowing him to leave on a free next summer.